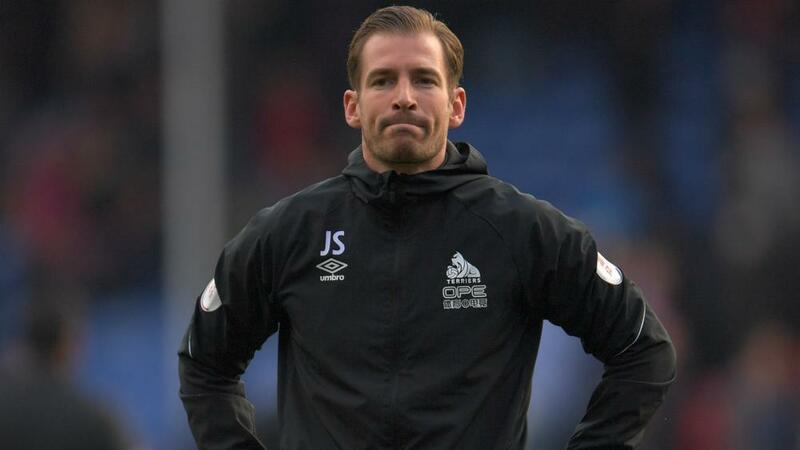 Jan Siewert promised Huddersfield Town fans the team will "come back stronger" after their relegation from the Premier League was confirmed on Saturday. They had appeared on course to pick up a point on their travels until Juninho Bacuna's ill-judged tackle on Wilfried Zaha allowed Luka Milivojevic to open the scoring from the penalty spot in the 76th minute. "I think the fans realise what we are doing," he told the media. "There are certain things that go wrong in a season, and we have to find all the things that we are willing to do as a club. "It's great, and the supporters are part of that, and they help to bring us in the right direction. Siewert's side have now lost five away games on the spin but Huddersfield had their chances at 0-0, Chris Lowe twice denied by Palace goalkeeper Vicente Guaita in the first half. "The penalty definitely summed up the season. We haven't had a penalty ourselves this season, but we've conceded eight to 10," Siewert said. "The quality in the Premier League is so high that it completely takes the game in a different direction. But still, at 1-0 down, we fought and had a chance to equalise. The team on the pitch today made me really proud." "At half-time, things were looking bleak, so I must give our team an awful lot of credit for the way they came out in the second half," the former England boss said in quotes published on the club's official website. "We made a couple of slight adjustments, and in the second half we were much more like ourselves. “I was very pleased that the players' determination shone through. We pulled ourselves together. I thought pushing Wilf up front, and bringing [James] McArthur in made a difference to our play."